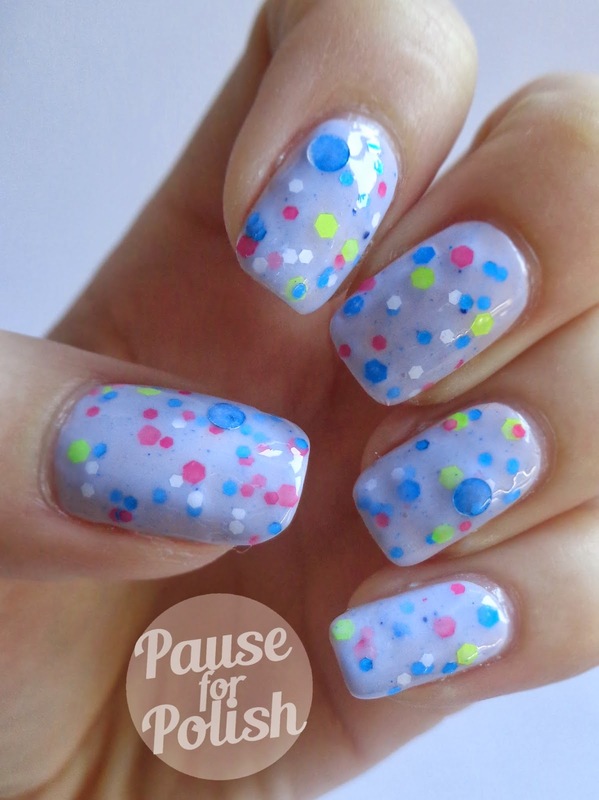 I don't know what's happened recently, but apparently i've started to enjoy swatching polish? Who woulda thunk it! 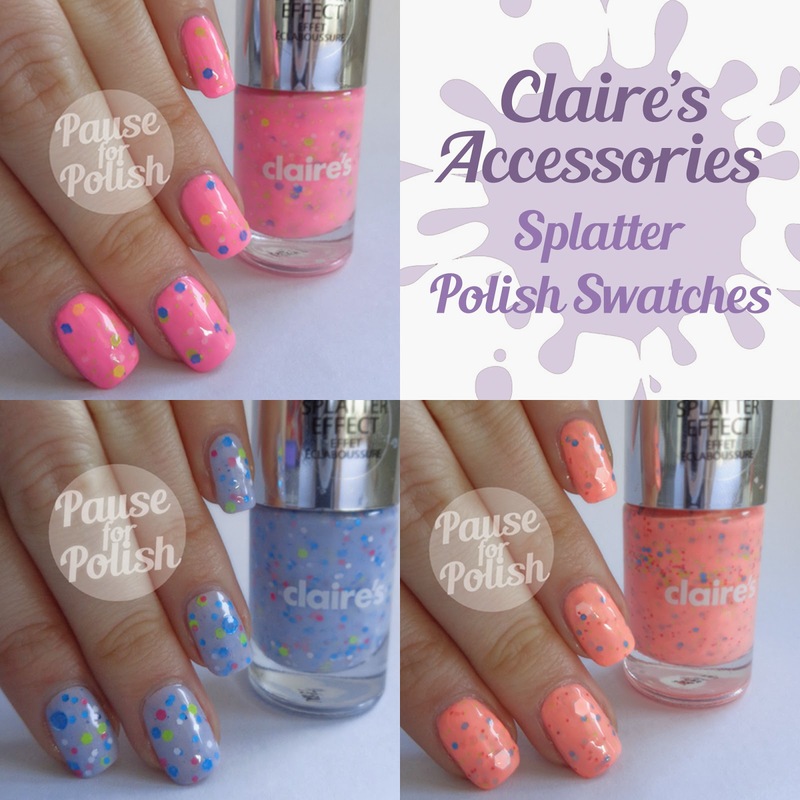 Today i've got three gorgeous new splatter polishes from Claire's Accessories to share with you. I wont lie, these were a bit of a pain in the bum to swatch but I got there in the end. Let's have a look at some photos shall we? Please note all three swatches are shown over a base colour. 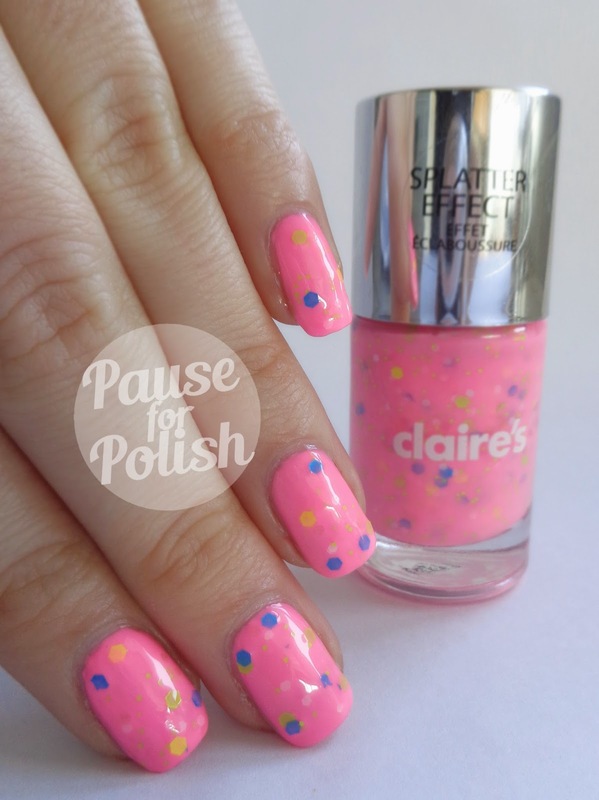 First up is a gorgeous neon pink colour called Sprinkles. It's packed with small green & white matte glitter, plus slightly larger blue, green & yellow matte hex glitter. 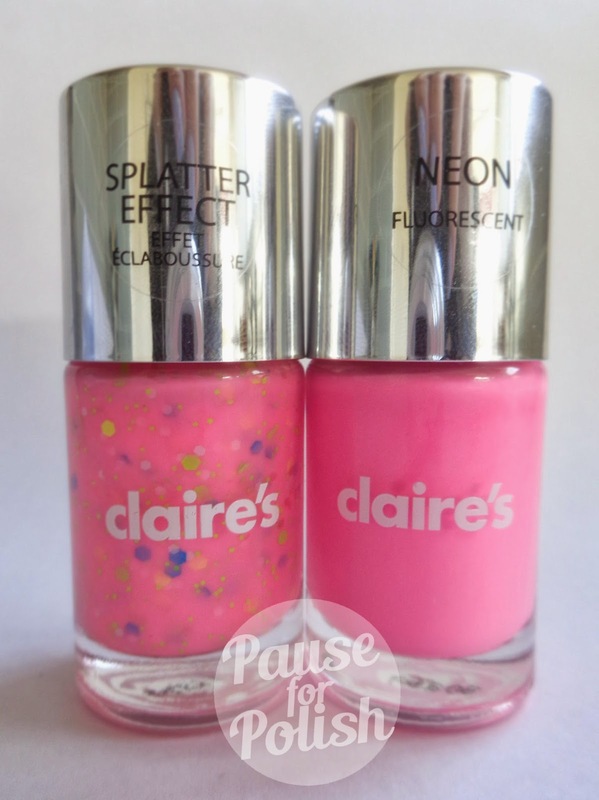 The formula is a little sheer, shown here is just one coat over a Claire's Neon Pink polish. 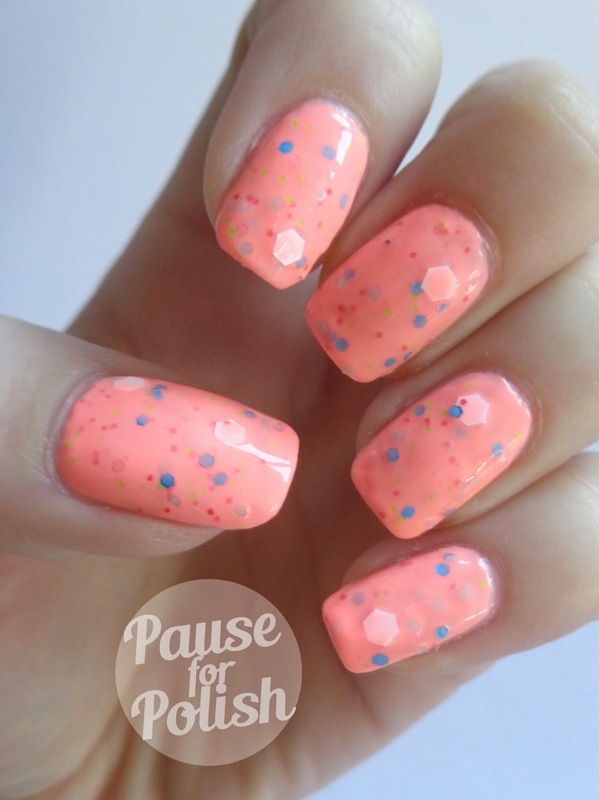 The name is perfect for the polish, it's so fun! I must admit I only bought this to go with the others but i'm glad that I did. I found this had the least amount of glitter on the brush, but nothing a little digging can't fix. Next up is a beautiful lilac colour called Jazz. It is jam packed with glitter! 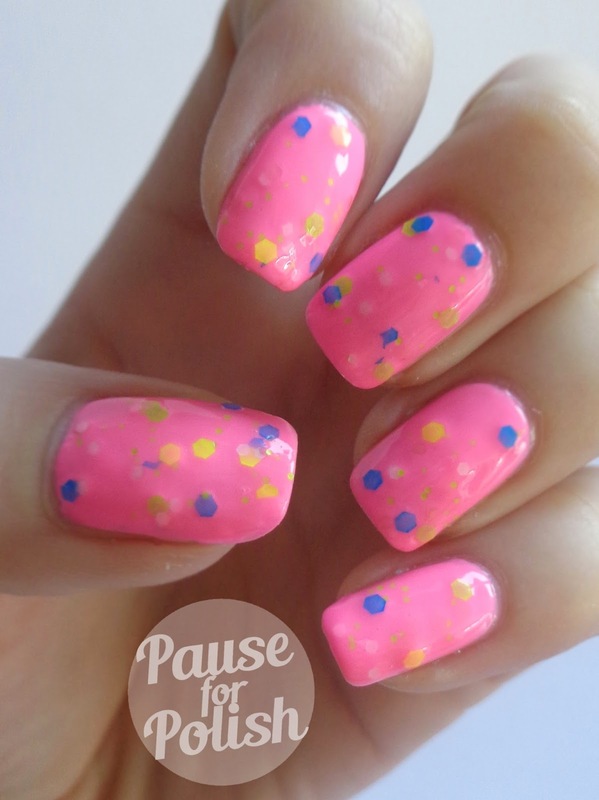 There's small pink, blue & white matte glitter, larger pink, blue & yellow glitter plus big round blue glitter. Also when on the nail I noticed a really subtle blue splatter, but it's tiny so my camera struggled to pick it up. Again the formula is a little sheer, i've layered one coat over Model's Own Utopia. But my gosh, it's like the glitter is magnetized to the brush! I didn't even have the fish for the round blue glitter! Over all I'm really impressed with these three! The glitter pay off is incredible, and I never thought such a random mix of colours could look so good! If I had to suggest just one, it would be Hundreds and Thousands, it just really stands out to me. I did find it a little tricky to get an even coverage when using the polish on their own, but layering over a base colour really helps. 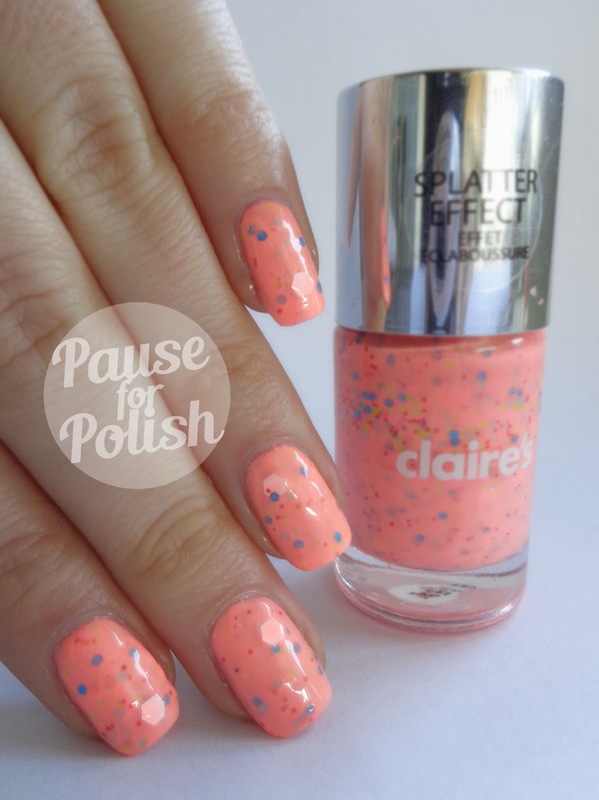 All swatches were finished off with Claire's Gel Top Coat. So do you think you'll be buying any, and if so what colour? Let me know in the comments below. Personally I hope they bring out some more soon, a white/cream based polish would look soo pretty! 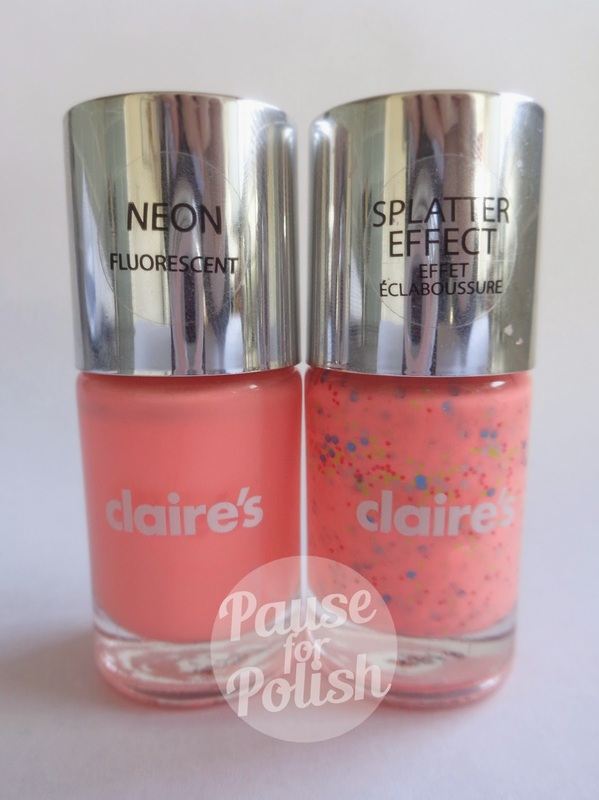 I love these polishes, Claires really does have some gorgeous colours at the moment. I bought the pink and coral of these and I absolutely love them. I didn't know there was a lilac one though, so I'll be on the hunt for that one!